Mark is a Colorado native, and has created a full life in Denver with his wife of over 20 years, Laura Barr, and his 4 children. In addition to his life as a husband and father, Mark also enjoys spending time skiing, singing, volunteering, and nearly anything that relates to rugby. Over the course of the last 25 years Mark has enjoyed a dynamic professional life. From 1988 – 2008 Mark worked for his family business. From 2000 – 2007 he served as the CEO, which proved to be foundational to his growth as an organizational leader and fostered an insatiable thirst for learning as much as possible about leadership. 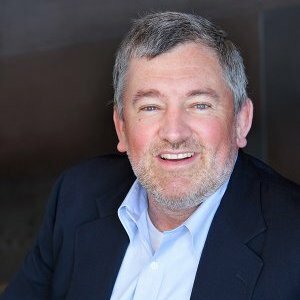 Since leaving his family business Mark has spent his work life as an executive business development coach, a strategic planning facilitator, a productivity consultant, and as a trusted business advisor to leaders across a wide range of organizations. Mark is most commonly known for his “glass is half-full” approach to life and business. Mark loves to serve organizations and individuals that clearly articulate a core set of values that reflect his belief in the human spirit, and who seek to “make a difference”, not just a living, in the world. Mark connected to BoldLeaders through his daughter Lexi, who participated in a program with the U.S. State Department. Mark works as an executive business development coach, a strategic planning facilitator and a productivity consultant.